Every Surface 3 and Surface Pro models don’t use BIOS (Basic Input/Output System) like you expected on older PCs. It’s replaced by a firmware interface called the Unified Extensible Firmware Interface (UEFI). This new firmware interface allows your Surface boot faster and provides a better security. 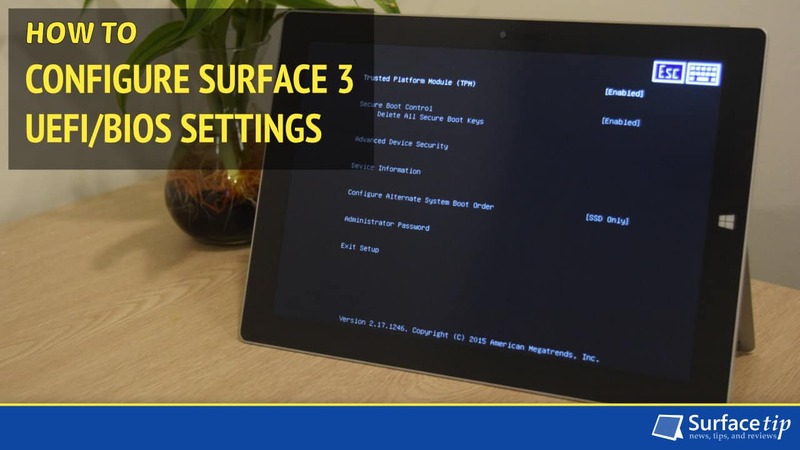 In this article, we will walk you through how to get to the Surface 3 UEFI settings. You will see also how to configure the UEFI settings to check device identity information, improve the device security, and more. 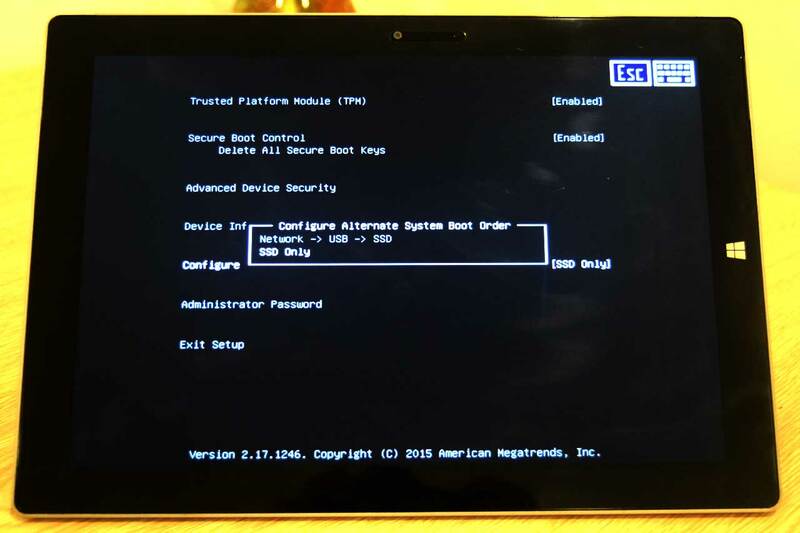 How to access Surface 3 UEFI settings? How to Check Your Surface 3 Device Information via UEFI settings? How to Change System Boot Order on Surface 3? 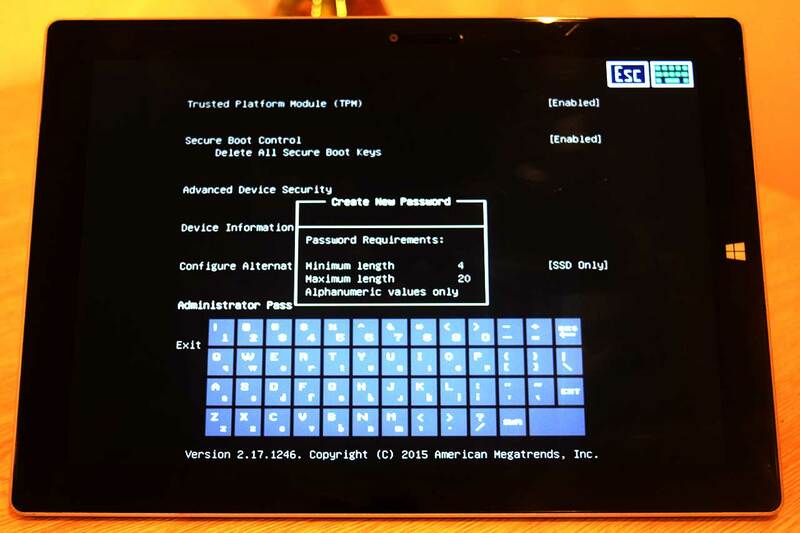 How to Manage Device Security on Surface 3 UEFI Settings? How to Protect UEFI settings with a password on Surface 3? 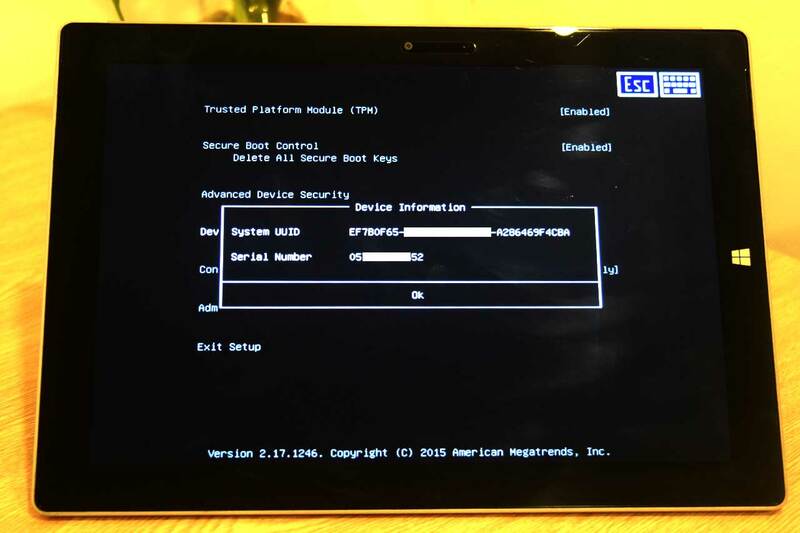 1 How to access Surface 3 UEFI settings? 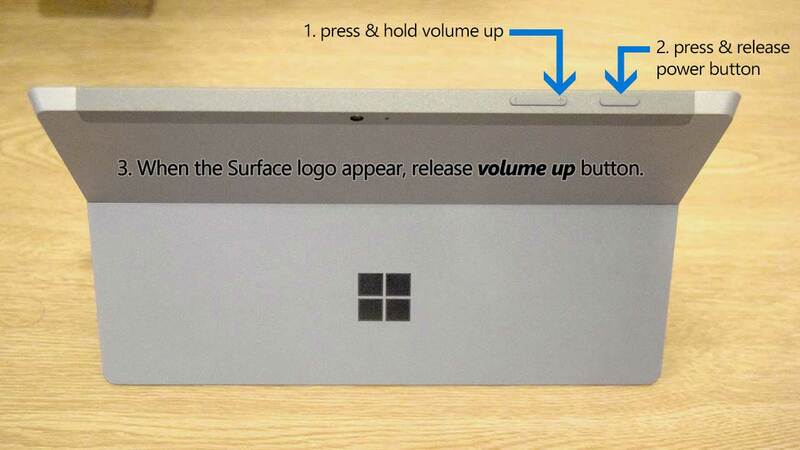 When you see the Surface logo screen appear, release the Volume Up button. The UEFI settings menu will appear in a few seconds. Yes – Save your changes and restart your Surface. 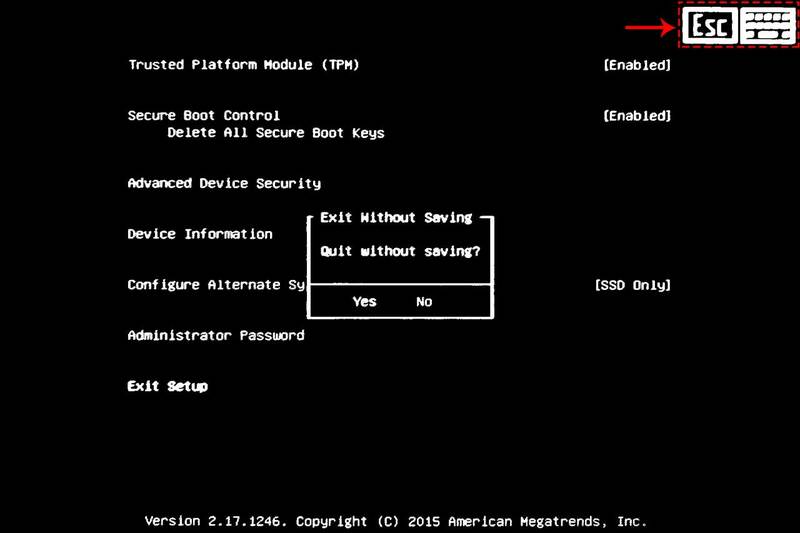 No – turn back to the UEFI settings. In UEFI settings menu, press the ESC key as the picture below or press ESC key if you have Surface Type Cover connected. Yes – Delete your changes and restart your Surface. 2 What is Trusted Platform Module (TPM)? 3 What is Secure Boot Control? 4 How to Check Your Surface 3 Device Information via UEFI settings? 5 How to Change System Boot Order on Surface 3? 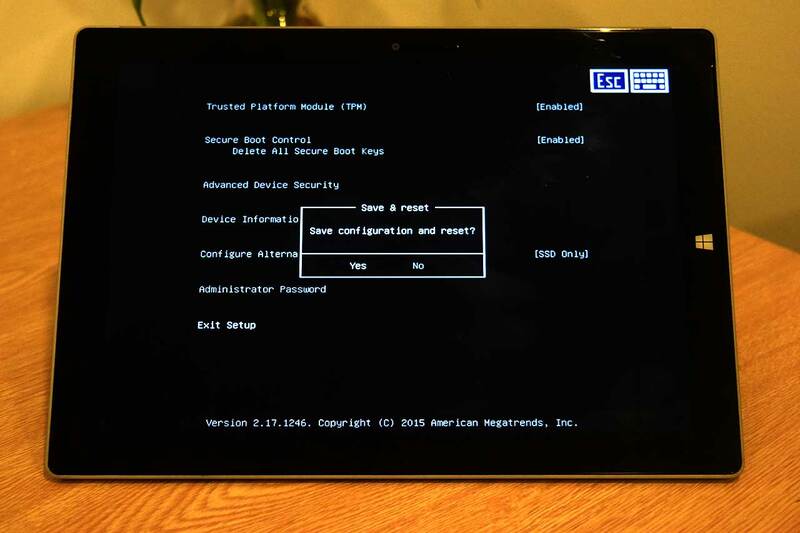 6 How to Manage Device Security on Surface 3 UEFI Settings? Side USB – enable/disable the ability to boot from a USB device. However, the side USB port remains enabled in Windows. Front Camera – enable/disable the front-facing camera. Rear Camera – enable/disable main rear camera. On Board Audio – enable/disable internal audio or speakers. SD Port – enable/disable microSD port. WiFi – enable/disable Wi-Fi. It will also disable the Bluetooth if you disable the WiFi option. Bluetooth – enable/disable the internal Bluetooth. 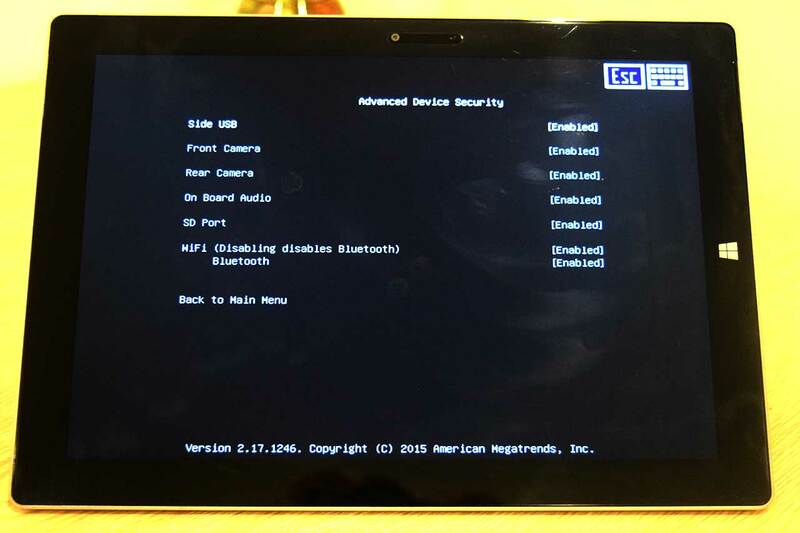 7 How to Protect UEFI settings with a password on Surface 3? We appreciate hearing your thoughts, questions, and ideas about “How to Configure Surface 3 UEFI/BIOS Settings”. Please post respectful comments and on topic. We will be replying back to you as soon as possible. Share your idea about "How to Configure Surface 3 UEFI/BIOS Settings".